Japanese park Delhi is located in Rohini Sector 10, New Delhi. The park was established in north west region of the capital, and it has is a good place for couples and families. Another name of this beautiful park is Swarn Jayanti Park, and some call it as Japani Park. 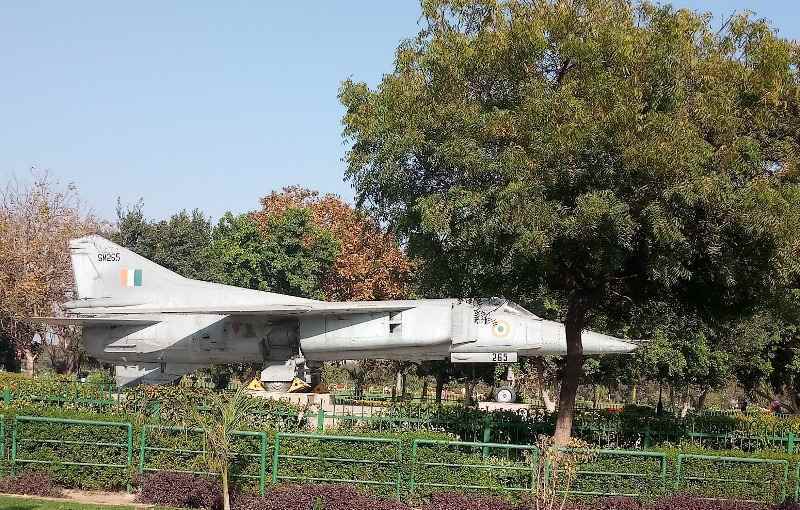 This park is also listed among many famous parks of Delhi. Many activities are present inside the park for children and adults as well. It is widely spread with green landscapes, lakes and walking treks. Boating and fun activities can be done inside the park. It is surrounded by amusement park and shopping malls. Adventure Island is situated at a walking distance from Swarn Jayanti Park. Japanese park has fun zone, where kids have options of playing around. It has statues of jet plane and some other attractions as well for kids. So it is a good place for families, as kids will enjoy their visit there thoroughly. Multiple swing rides are also present inside the Swarn Jayanti Park, Rohini. Japanese park opens all the seven days a week. There is no holiday and the Japanese park opening time is 4:30 AM, early morning. This makes the park a perfect place for jogging and exercise for health conscious people. As its opening time is very early in the morning, allowing them to breathe the fresh air of morning while taking a walk among greenery and lakes. The park closing time is 8:30 PM, shows that the park opens for a long duration. Best time to visit Japanese garden is before noon or after early evening during hot days of the year. When the days are cold, such as winters, any time of the day would work fine. Despite offering such lovely atmosphere for people, Japanese park ticket price is free. There is no entry fee to visit the park, and anyone can have a lovely time there, as long they want, without paying a penny. You can bring your camera too, it is allowed. Also, there is no entry ticket for bringing the camera inside the park. This picturesque location can be a good place for people to encourage the cameraman in them. Japanese park parking is also free of cost. The parking space is ample and it can accommodate many two wheelers and four wheelers. If the parking gets filled on a busy day, vehicles can be parked at nearest metro station, Rohini West Metro station. The various fun activity present inside the park attracts different charges, including boating. The park visiting duration is 2-3 hours. Japanese park is well connected with rest of the city, being in the main area. Metro, buses and autorickshaws and taxis. Japanese Park nearest metro station is Rohini West Metro station of red line, it is at a walking distance of 1 Km. Nearest bus stand is Parwana Apartment, which is in front of the entry gate of Swarn Jayanti park. It is possible if someone visits Adventure Island and want to spend the evening in Japanese Park. As they are just behind each other, build within the same block at a distance of 2 km distance between their main entry gates. Japanese park Delhi is a famous spot for couples and lovers, who visits here to spend some time together. It is among the list of places to visit for couples in Delhi. They spends their quality time together in this garden and sometimes they becomes too comfortable to notice that they are in a public place. Such behaviour of couples makes it uncomfortable for families visiting here. So families might prefer going there on holidays, evening and morning time of the day. Also avoid going to stranded places within the garden premises and stay more in the main region of the park. Various facilities are available inside the Japanese Park, Rohini for the convenience of visitors. Washroom and drinking water facility is available here. The food court is available in the garden complex. Few vendors are also selling cold drink and chips inside the garden. Ice Cream vendors are standing near the entry gate. Auto rickshaws can be booked from the from the entry gate for nearest metro station or other places of Delhi. Boating is one of the major attractions of Japanese Park Delhi. One of the lakes of Japanese Park offers boating to their visitors. Various types of votes are available in the lake, visitors can choose from the paddle boat or from the shikaras. Paddle boats have two and four seats, while secure can accommodate multiple visitors at once. Japanese Park boating charges are depended on the boats chosen by the visitors. Visitors can also enjoy boating at India Gate and Purana Qila. Also visit Buddha Garden, Lodhi Garden, Garden of Five Senses and check places to visit in Delhi.